Combine equal parts masa flour and water. The consistency should be that of play-doh. Flatten. Cast iron tortilla presses are used here, but other squishing mechanisms can be improvised. Grill for two minutes each side over medium-hi heat, no oil. 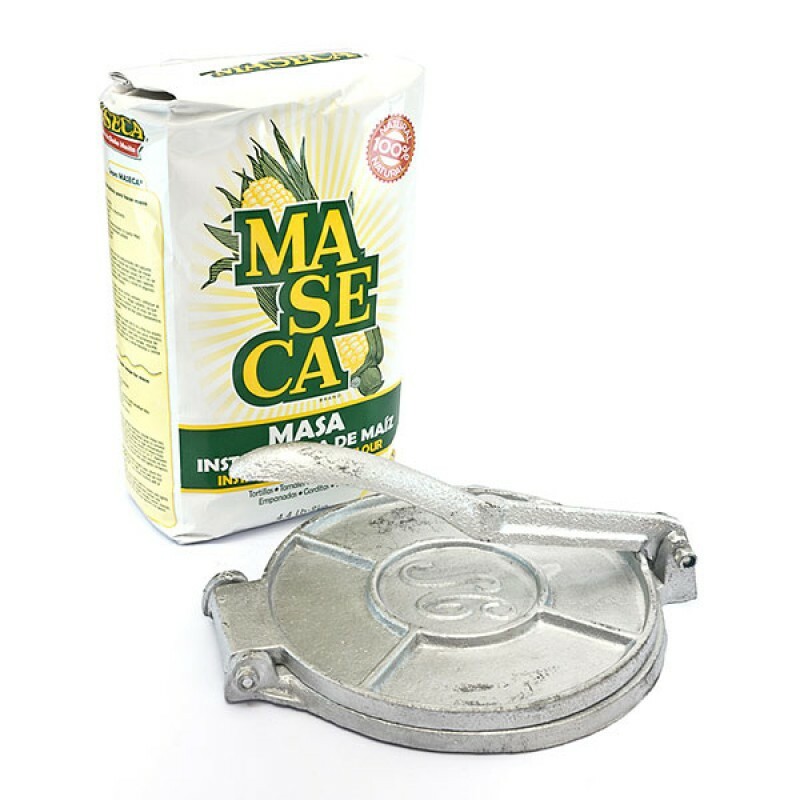 I shall have to stock my cupboard with masa flour (a finely ground corn flour, most often Maseca brand here, also the base for tamales and used in many other Mexican recipes) when I get home and add this to my cooking repertoire. Once I return and get settled again, I invite you each over for dinner to cook tortillas with me. Remind me of this promise in advance and we shall make ourselves a taco feast. 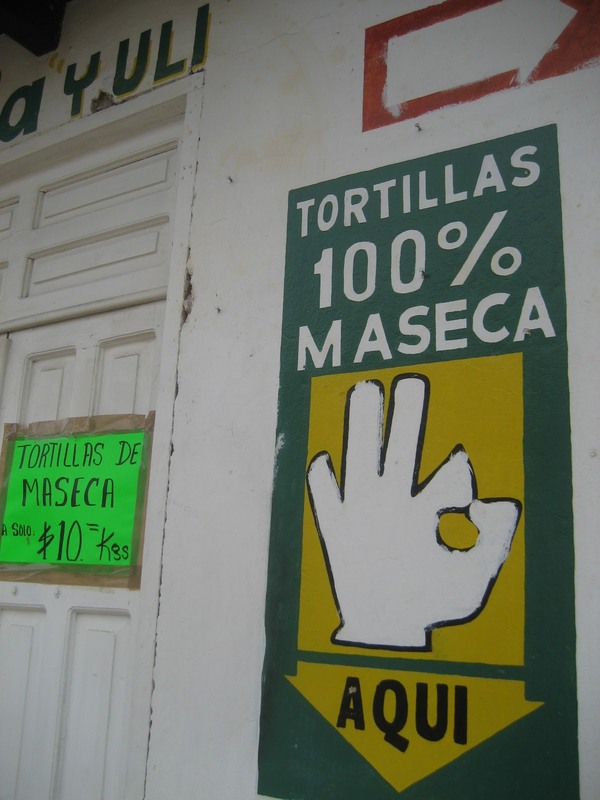 Serious brand loyalty posted on most tortillas shops. All the signage in Maseca yellow and green. @andy perhaps zucchini and corn with cream?